The capital of the Italian region of Tuscany, Florence or Firenze, is served by a mid-sized international airport. ‘Florence-Peretola Airport’ or ‘Amerigo Vespucci Airport’ are names used interchangeably when referring to Florence Airport – FLR. The airport is located approx. 4 miles northwest of Florence city centre (road distance). The proximity to major motorways makes it easy to travel from the airport not only to the city centre, but also to other interesting locations in Tuscany. 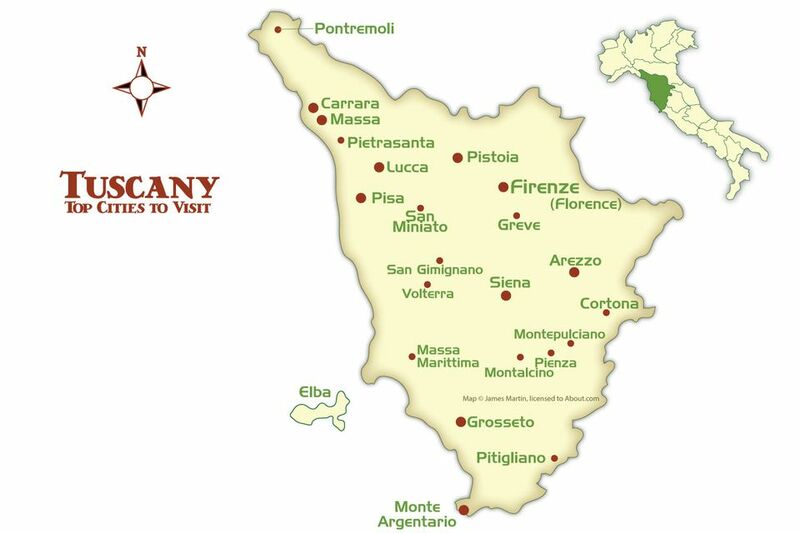 See map of Tuscany. Discover Tuscany in a hire car. Fiat 500 is often cheap to rent in Florence Airport. Flights to Tuscany are also available via Pisa Airport. A wide choice of rental companies operates at Florence Airport, amongst them: Avis Autonoleggio, Budget, Europcar, Hertz Car Hire, National/Maggiore, Sixt, Thrifty, Goldcar, Firefly, as well as the Italian brands Sicily by Car, Maggiore and Locauto. Car rentals are located in a dedicated facility outside the terminals. A shuttle bus running every 20 minutes connects the airport to the FLR rent a car centre. With the help of the internet search engine of car hire, Cartrawler, it is easy to get quotes from all of the above car hire providers through a single search. In order to benefit from the best rates on Florence rental cars, book in advance, especially when travelling to Tuscany in the high season. By booking a few weeks ahead, it is usually possible to find on Cartrawler reasonably priced offers on Florence Airport car rental, even for the busy summer season. The cheapest offers in the class of small city cars to rent at the airport – usually a Fiat Panda, are often available from around £130 for a week of Italy car hire, with unlimited mileage. A bit more stylish Fiat 500 is usually considerably more expensive. If style is not the priority and more space, for both passengers and luggage, is required, the economy class car (Ford Fiesta or similar) is often a cheaper and more comfortable solution. In the class of economy rental cars, Ford Fiesta is often the most popular choice at Florence Airport. In the popular Golf class (compact class) it is often difficult to find any offers below £250 per week of Florence Airport car hire in July and August. Do have a closer look, however, at the listing of the offers as sometimes (and especially in the summer season when car rental companies are competing for customers) some of them may include additional benefits, such as for example a free GPS, free additional driver or a model guarantee, with which you can be sure that the model you see as the illustration of the offer is the exact same as the one you will pick-up at Florence Airport. Please note that minivans (7-seaters) to rent in Florence Airport are fairly expensive in the summer season, often at a price superior to the cost of renting two mid-size cars. On the other hand, there is often only a small difference in price between a 7-seater and a minibus with space for up to 9 people. Lancia Voyager in the fleet of Budget Car Rental at Florence Airport. For the best rates book minivans to rent in Florence well in advance. All of the above destinations are a straight drive from the airport, along the E76 road. Direct flights to Florence from the UK are avaialble with British Airways, with departures from London-City (year round flights) and Edinburgh, Birmingham Bristol, London-Stansted and Manchester (seasonoal flights), as well as from Vueling, departing from London-Luton and London-Stansted. Florence Airport car rental companies: Avis Autonoleggio, Budget, Europcar, Hertz Car Hire, National/Maggiore, Sixt, Thrifty, Firefly, Sicily by Car. Driving in Tuscany. Florence Airport distance to Lucca.